To speak directly to a representative, please call us at (330) 854-5380. 2015 GMC Sierra 2500HD Denali Crew Cab 4WD-INTENET SALE PRICE ENDS FRIDAY APRIL 26TH!! 2014 GMC Sierra 2500HD SLE Crew Cab 4WD-INTERNET SALE PRICE ENDS FRIDAY APRIL 26TH!! 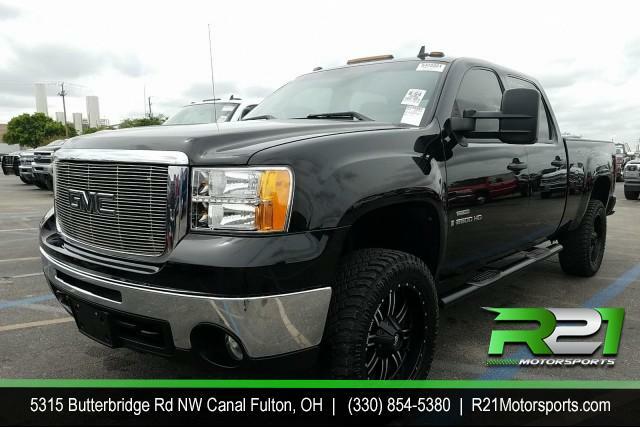 2012 GMC SIERRA 2500HD SLE- CREW CAB- 4WD- JUST ARRIVED FROM DOWN SOUTH - RUST FREE - CALL 330-854-5380 TODAY FOR MORE DETAILS!! 2007 GMC Sierra Classic 2500HD SLE1 Crew Cab - INTERNET SALE PRICE ENDS FRIDAY APRIL 26TH!! 2010 GMC YUKON XL SLT - INTERNET SALE PRICE ENDS FRIDAY APRIL 26TH! !